Iranian President Hassan Rouhani has warned North Korea against trusting the US, saying that the Trump administration is unreliable and leaves international agreements unilaterally. 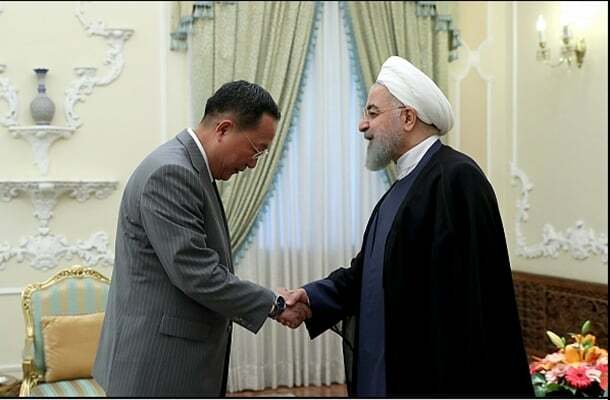 Rouhani made the remarks in a meeting with North Korean Foreign Minister Ri Yong-ho in Tehran. The president reminded the North Korean official – whose country is currently negotiating with Washington over its nuclear program – of the US’ withdrawal from the 2015 Iran nuclear deal, formally known as the Joint Comprehensive Plan of Action (JCPOA). “The US performance in recent years has turned it into an untrustworthy and unreliable government that does not honour any of its (international) commitments,” he said. Ri Yong-ho’s trip to Iran comes as the US has stepped up its political and financial pressure over Iran’s nuclear energy program while calling on North Korea to be denuclearized. After decades of arduous negotiations, Tehran and world powers reached an agreement to curb Iran’s nuclear program in exchange for relief of sanctions that were largely spearheaded by the US. While the UN inspectors said Iran was complying with the deal, US President Donald Trump unilaterally walked out of the agreement, saying it does not go far enough to meet the US benefits. Elsewhere in his Wednesday comments, Rouhani said that the Islamic Republic supports peace in the Korean Peninsula. Pointing to the decades-old relations between Tehran and Pyongyang, Rouhani said the two countries need to expand the current level of cooperation and support each other in international organizations. Pyongyang established a close relationship with Tehran by coming to Iran’s aid during Iran-Iraq eight-year war in the 1980s. The North Korean FM, for his part, condemned the US withdrawal from the JCPOA, saying the move runs counter to international norms.